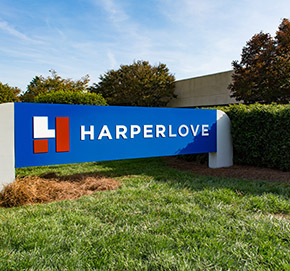 HarperLove, the leading provider of corrugating adhesives and performance additives to the packaging industry, is pleased to announce Tyler Haggard and Don Wolfe have been promoted to Region Manager roles. Tyler came to HarperLove in 2009 as a Technical Service Representative and will be leading technical service teams in the Northeast and North Central United States. Tyler has more than 28 years of experience in corrugated manufacturing, having worked in plant operations and plant leadership positions at Packaging Corporation of America, Smurfit-Stone, and Georgia-Pacific. Don will lead technical service teams in the North Central and Northwest United States. He joined HarperLove as a Technical Service Representative in 2001 following a successful career in manufacturing operations and plant leadership at MacMillan Bloedel, Weyerhaeuser, and Smurfit-Stone. Don has more than 30 years of manufacturing experience in corrugated plants. MultiBond Edge III—Developed specifically for the challenging bonding conditions in heavyweight and triple-wall plants, MultiBond Edge III builds on the well-established performance characteristics of MultiBond. MultiBond Edge III has consistently delivered machine speed increases of 20-25% while improving edge bonding, reducing delamination and waste, and improving board moisture characteristics. LiquiBor—With increasing health and safety concerns associated with powdered borax and recent regulation of employee exposure to borax in some markets, corrugated packaging manufacturers are facing potential restrictions of a key component of corrugating adhesives. LiquiBor meets this challenge by providing a direct substitute for powdered borax in the adhesive formula—LiquiBor provides all the performance benefits of traditional borax while completely eliminating the health and safety risks of employee exposure to airborne borax dust. HydroBor—HydroBor was developed for customers who prefer boric acid rather than borax in their adhesive formula. HydroBor provides all the health, safety, and ease-of-use benefits of LiquiBor while serving as a direct substitute for boric acid. NoBor Liquid—NoBor Liquid enables corrugated manufacturers to produce a traditional starch adhesive without the use of boron. This specialty product was developed for customers who are facing regulations requiring the elimination of all traces of boron in discharged wastewater. Bill Kahn has announced his retirement after 22 years as Vice President and General Manager of Harper/Love Adhesives Corporation. Bill Joined Harper/Love in 1993. This position capped a successful 50-year career in the corrugating industry. Bill began his career in 1965 with Hoerner Waldorf (Container Division) in St. Louis, Missouri. With this company he rose from an hourly production worker to an industrial engineer. In 1977, Mr. Kahn moved to Westvaco Corporation as a staff engineer in New York, New York. During his 16 years with this company, he also served as production manager, manager of engineering, and, ultimately, as manufacturing and technical service manager. Bill is proud of his involvement with TAPPI since 1978. He has been a member of many committees, and served as chairman of the Corrugated Division in 1997. In 2005, he received the TAPPI Leadership and Service Award for the Corrugated Division. Mr. Kahn earned his B. S. in Engineering at Southern Illinois University, in Edwardsville, Illinois. He was on the Dean’s List 3 years. He served with the U. S. Army in Vietnam as an infantry sergeant. He will be sorely missed at Harper/Love. All of his friends, co-workers and colleagues wish Bill and Patti the very best in the years to come….time with family that includes five wonderful grandchildren. Copyright © 2016 HarperLove, Inc.